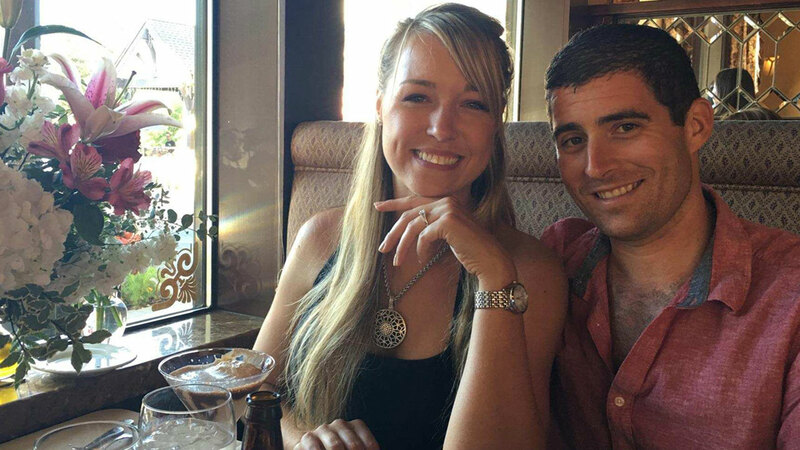 BIG BEAR, Calif. -- A San Bernardino County sheriff's deputy and her fiance were killed when a small aircraft crashed in a remote area of Big Bear. Authorities were dispatched to the Apple Valley Airport around 10:30 p.m. Saturday in search of a car belonging to one of the victims, identified as 28-year-old Rebecca Joan Raymond. The person who called authorities said Raymond and her boyfriend were flying from Big Bear and were overdue to land. San Bernardino County sheriff's deputies found the car at the airport and contacted the airport division for help to find the couple. Authorities began searching the sky between the areas of the Big Bear and Apple Valley airports. Around 9:30 a.m. Sunday, a helicopter crew found a single-engine aircraft down in a remote area of Big Bear Mountain. A flight crew member was hoisted down to the wreckage and found the couple dead. Friends said Raymond's fiance was Brian White, a warrant officer in the U.S. Army. Debbie Payne, a close friend of the couple, said Raymond and White met two years ago at a party. Rebecca Raymond, 28, became engaged to her boyfriend Brian White and shared photos of the moment and engagement ring with a friend. Payne said White had rented a plane for the weekend and took Raymond on a trip to Big Bear for their anniversary, where he proposed on Friday. Raymond was assigned to the Barstow Sheriff's Station and had been with the department since September 2016. The FAA and NTSB were contacted and will be assisting the sheriff's aviation division with the investigation.